Tulip – Dig Delve – An online magazine about gardens, landscape, growing & making. 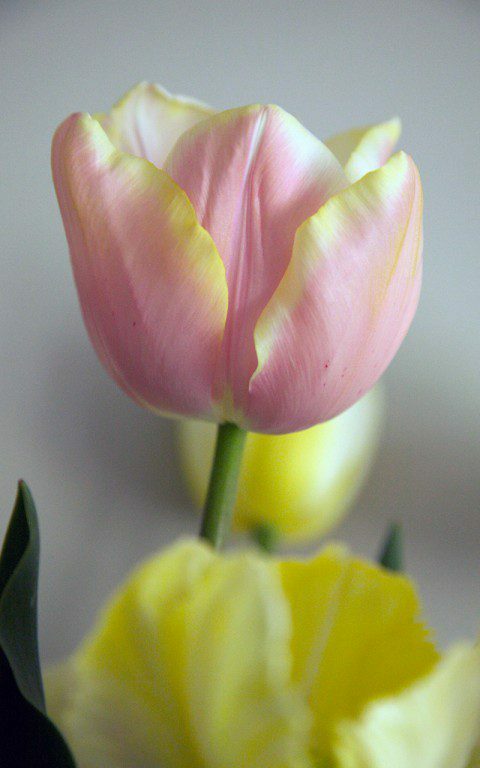 Tulips have become something it is almost impossible to consider a spring without here. Flames of new colour, quite out of place on our hillside, and as exotic as any flower that is able to hold its own in our cool, damp climate. I made a place for them straight away in the old vegetable garden, lining out fifteen or so varieties, thirty of each in a row. I had grown them in pots for years in London, but with the new land there has been a child-in-a-sweetshop approach to new experimentation. Each August we choose what we like the look of from the catalogues, ordering wholesale to buy in quantity. 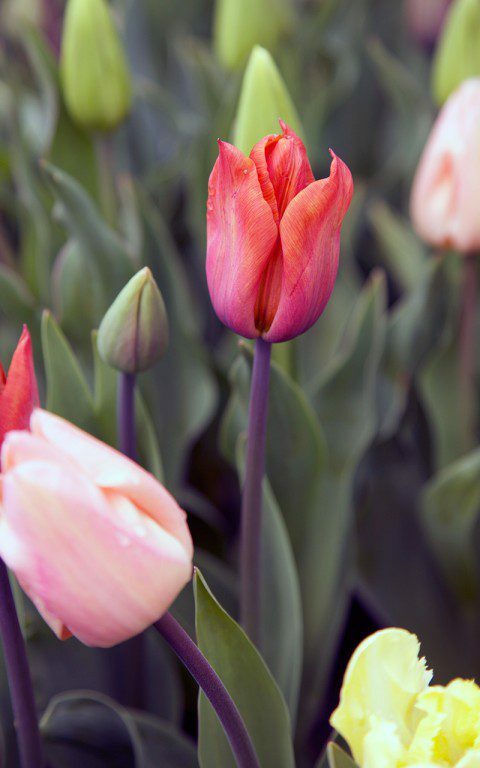 The bulbs, which are easy in the hand with their silky tunics, are lined out at the end of the season in November – the best time for tulips as the cold helps to prevent tulip fire, the fungal disease which can ruin your blooms come spring. Growing them in rows felt right as it made a nod to the days when the land was a market garden. 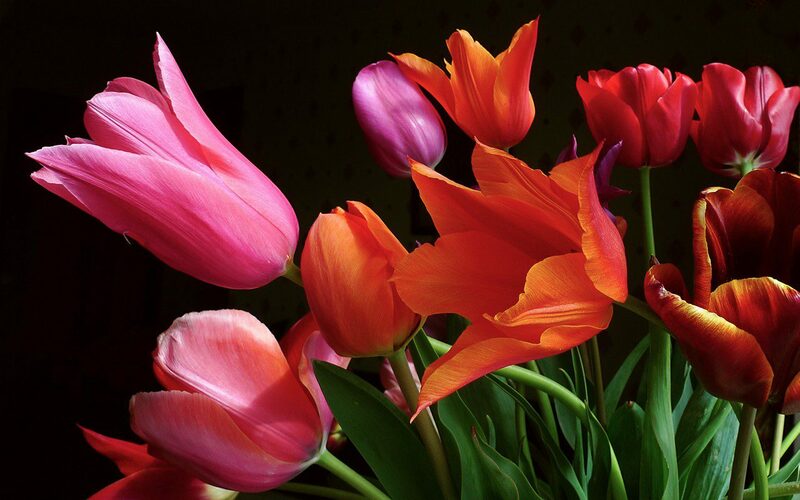 The tulips are so obviously cultivated that, grown in this orderly and productive fashion, we have been able to enjoy the freedom of not having to worry about combinations or composition, except for in the vase. 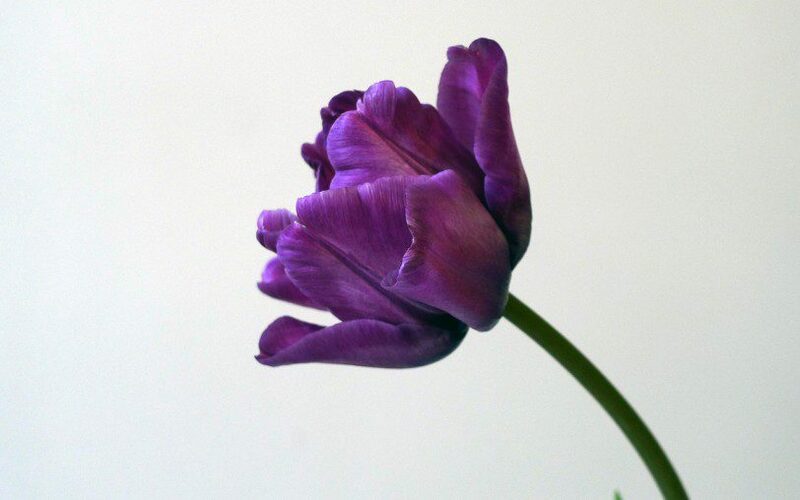 Mostly, with the exception of the stubby Kaufmanniana and Greigii tulips that lack the grace for picking, we have chosen well. Those that are ‘too-much-of-this’ or ‘not-enough-of-that’ are picked and enjoyed in a jug and put on a list to ensure that we don’t order them again. 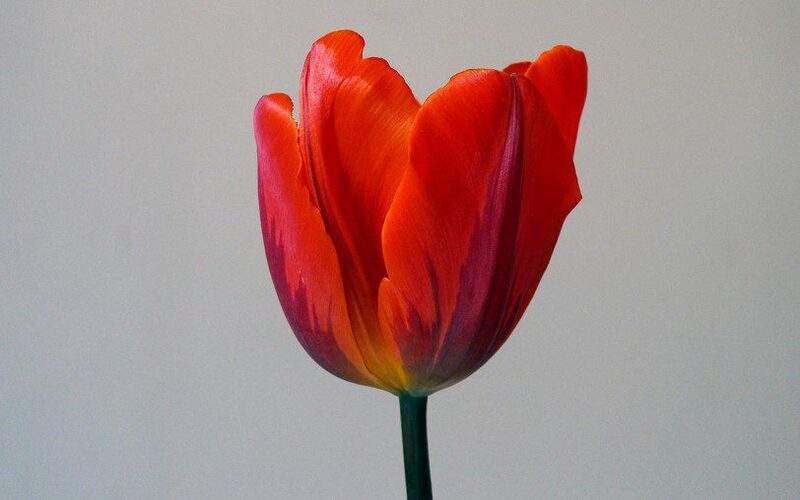 We might re-order our favourite varieties from one year to the next, but we have used the tulip trial as just that, an opportunity to sample as widely as possible. Even those that may not be right for us might find their place in the garden of a client. 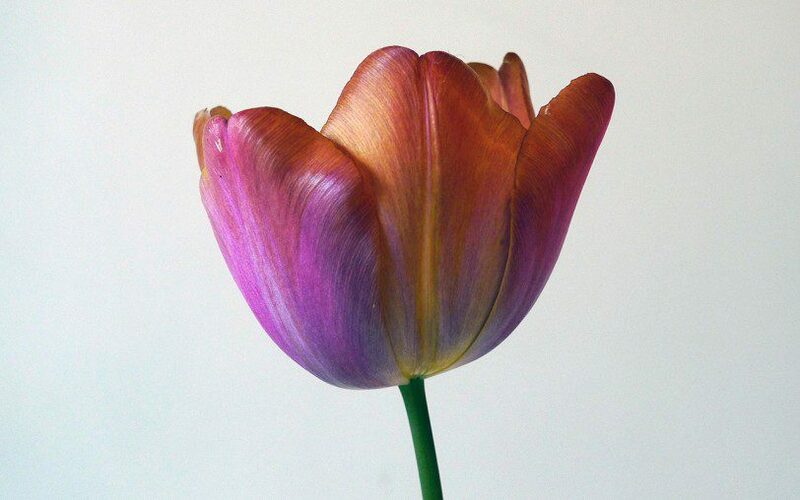 The ultimate honing of those that go on the list of favourites happens once they have been picked, for it is then that tulips truly come into their own. 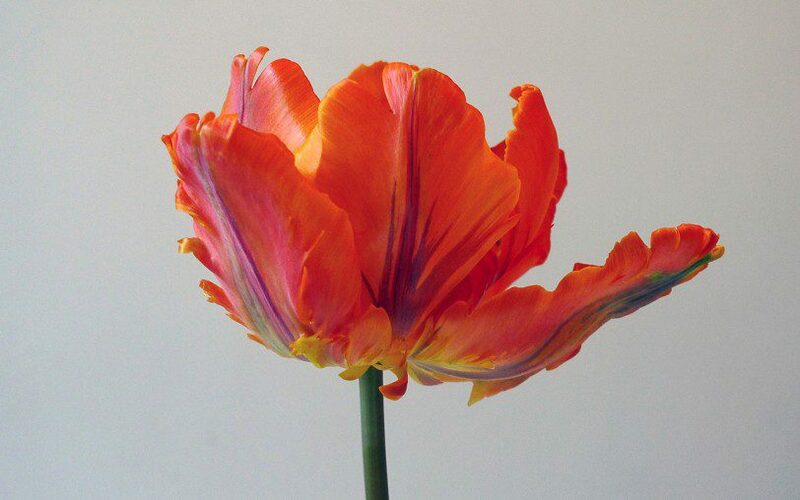 They make wonderful cut flowers, perhaps some of the best. 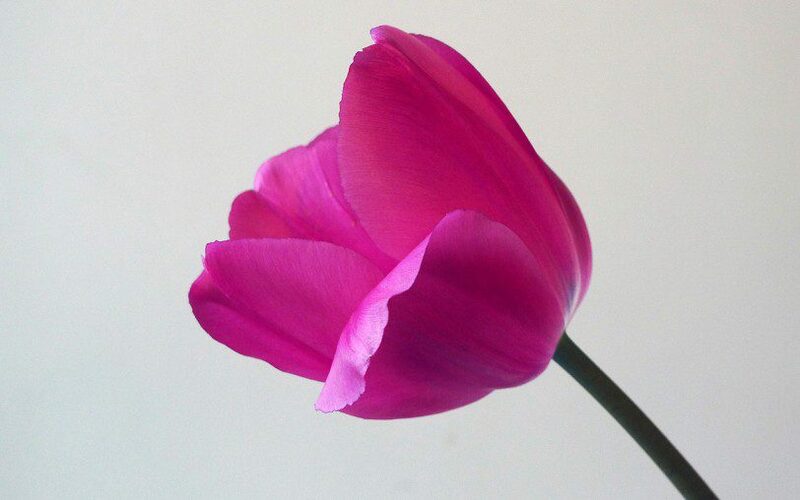 Picked just as the buds show colour, they continue to grow in a vase, the stems lengthening and often reaching out and down and arching back up whilst holding the flower level. 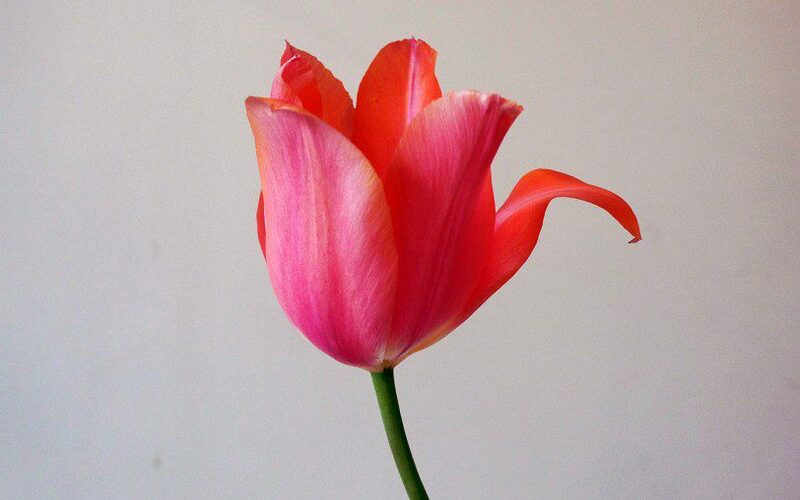 The flowers also evolve, lengthening or fattening and changing colour depending upon their type. In a warm room, or when bathed in sunshine, they yawn to reveal their insides with stamens dark and dusted with rust or purple pollen. 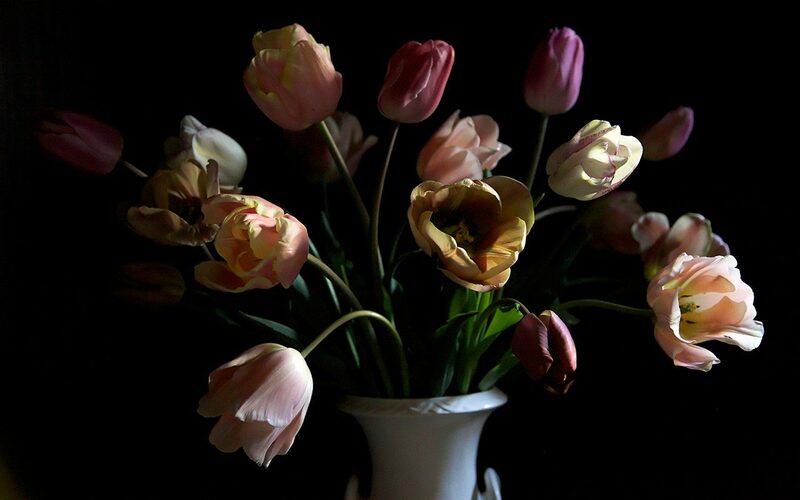 A bunch is often at its very best after four or five days in a vase, a theatrical swansong before they completely fall apart and drop their petals to the floor. In the garden they last longer, a good two weeks in a cool spring, and a month from the first that opens to the last. 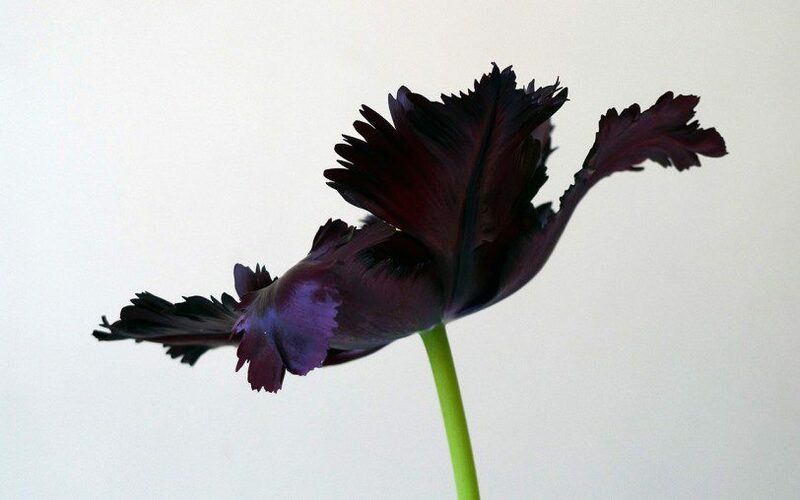 Those that have made the perennial favourites list include ‘Malaika’ (aka ‘Bruine Wimpel’) , ‘Couleur Cardinal’ , ‘Bleu Aimable’, ‘Irene Parrot’, ‘Hermitage’ and ‘Don Quichotte’ . 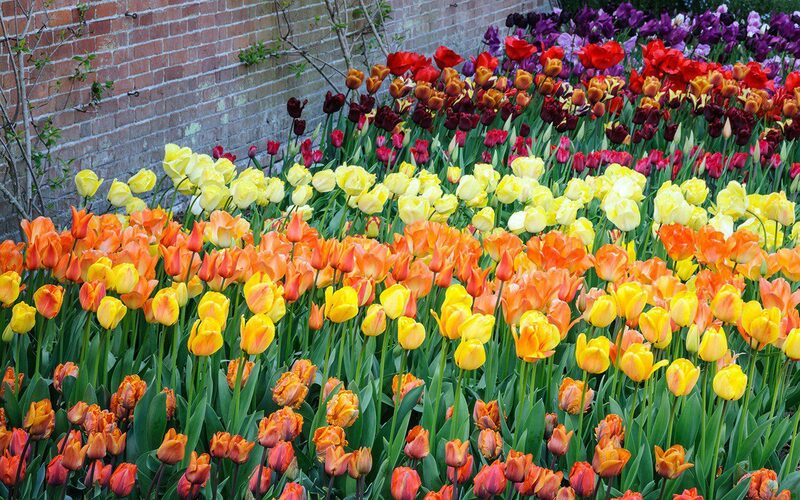 When I was a student at Kew, we were taken to see the bulb fields on a field trip to Holland. A painted landscape is a hard thing to forget, but it was a behind-the-scenes orchard that is etched on my memory. Under the twisted forms of old apple trees a nurseryman had planted what must have been decades’ worth of leftover bulbs. They were mixed in a cacophony of random colour, the flowers open mouthed in the sunshine like fish coming up for air. The display was layered, with tall lily-flowered tulips standing proud, and every colour and form running in an undercurrent underneath. Recently I also started to experiment with mixing varieties both familiar and unknown at a garden where we have been growing flowers to cut on a big scale. The mixes have been hugely exciting. 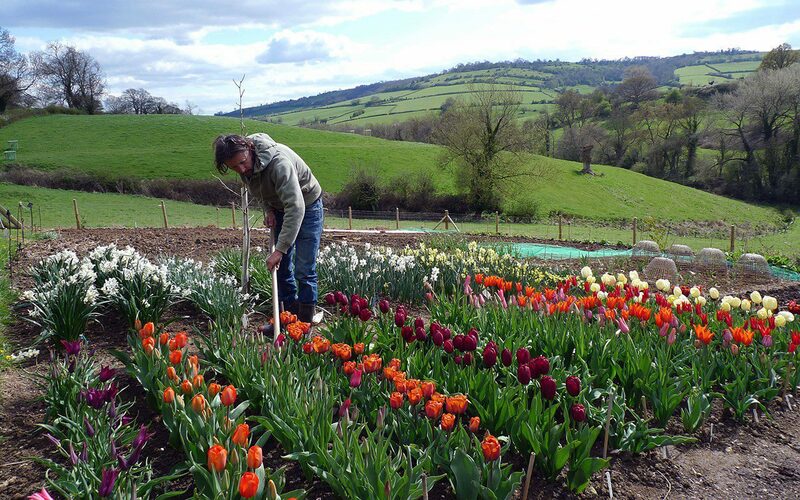 The first year we planted graduated rows of every colour of the rainbow from black to white. In consequent years we have played with colour themed combinations ranging from blacks and reds, through lipstick pinks and oranges, to cool yellows and whites. 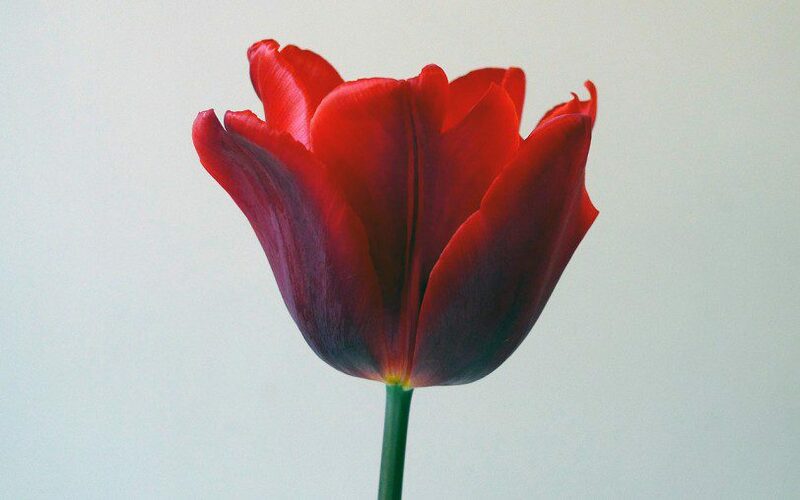 ‘National Velvet’, ‘Black Parrot’, ‘Red Shine’, ‘Ballerina’ (put your nose to this one and smell sherbet) and ‘Orange Sun’ made a mix that was both rich and invigorating. 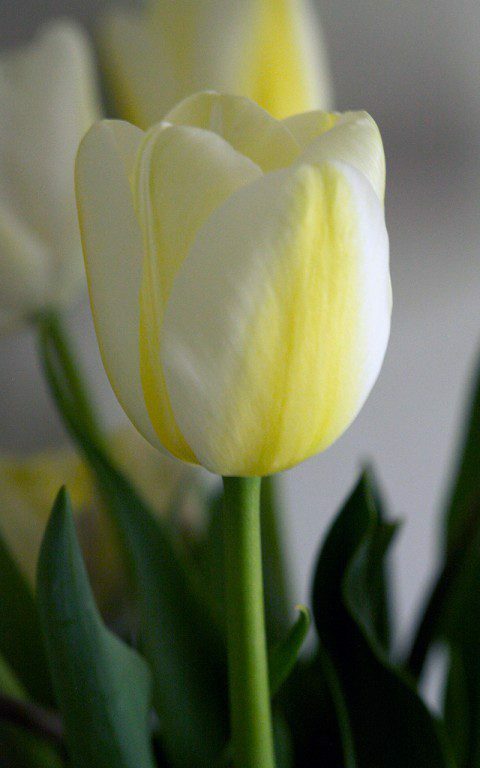 The yellow, white and cream mixes have an entirely different feeling – cool, clean and refreshing. 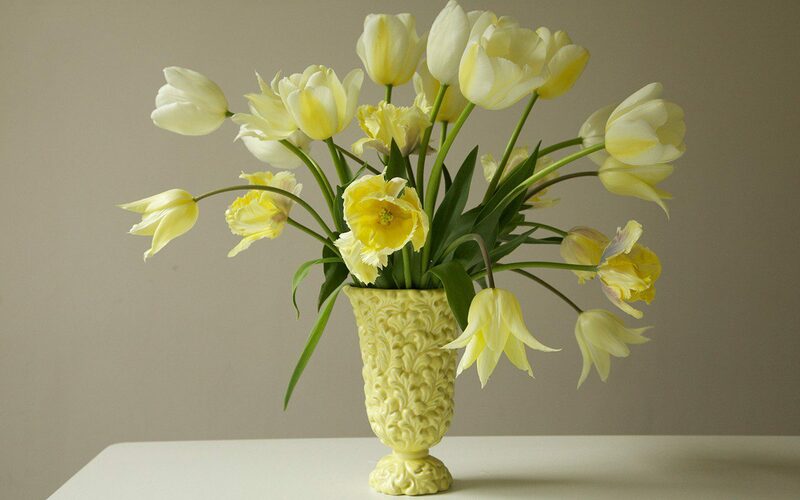 The brilliant chrome yellow of lily-flowered ‘West Point’ alongside the creamy goblets of ‘Maureen’ and tapered ‘Sapporo’, which fades from primrose to ivory as it ages. The best mixes contain about five or six varieties with some, such as ‘Perestroyka’, ‘Jacqueline’ and ‘Burgundy‘, deliberately chosen for height. 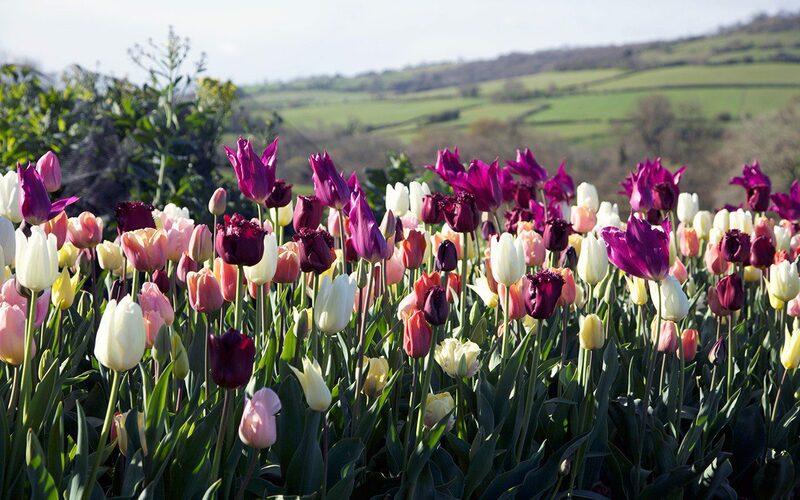 It is also worth choosing early, mid and late season varieties to make the most of the tulip season and witness the mixes change from day to day as they extend and lengthen and intensify in saturation of colour. In previous years we have experimented with the brighter end of the colour spectrum, but this year, when we shifted the tulip trial across to the new vegetable garden, we opted for a range of more muted, pastel shades mixed with richer colours. These were planted in the bed when the last of the salad was taken to the compost heap, and we will move them from bed to bed in a similar way every year. The colourful panel brings something lively to a vegetable garden caught between seasons. So far the front-runners for addition to the list of favourites are ‘Request’, a refined and pointed flower of rich, shot russet, ‘Crème Lizard’, a diminutive and elegant primrose-yellow parrot with a bruised pinkish-grey bloom to the outer petals, and ‘Mango Charm’, not immediately to our taste, but its rhubarb and custard colouring has made it a great partner for the ice-cream shades of ‘Sapporo’, ‘Angel’s Wish’, ‘Hakuun’ and ‘Apricot Beauty’. 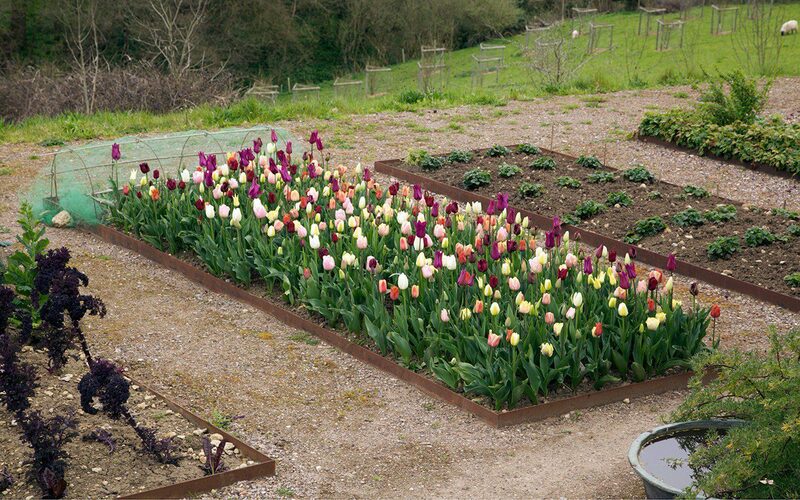 The tulips are lifted immediately after they have finished flowering to make way for summer vegetables. 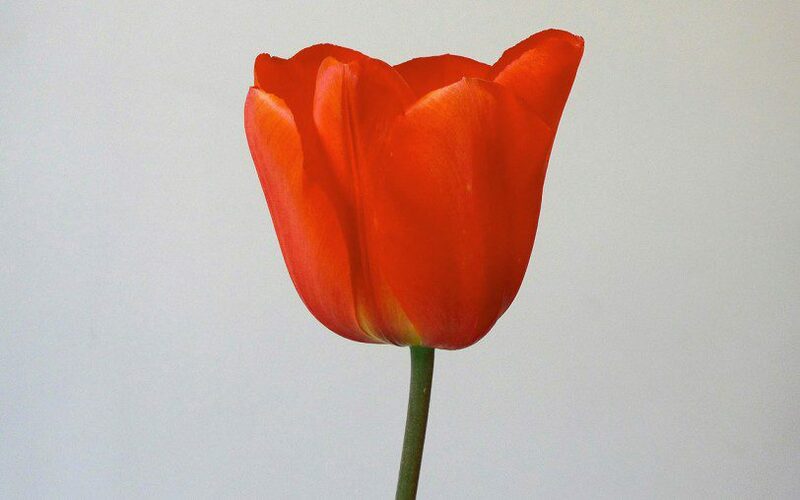 Left in the ground, they take up valuable space and become prone to the tulip fire, which is a risk in ground where tulips are planted several years running. 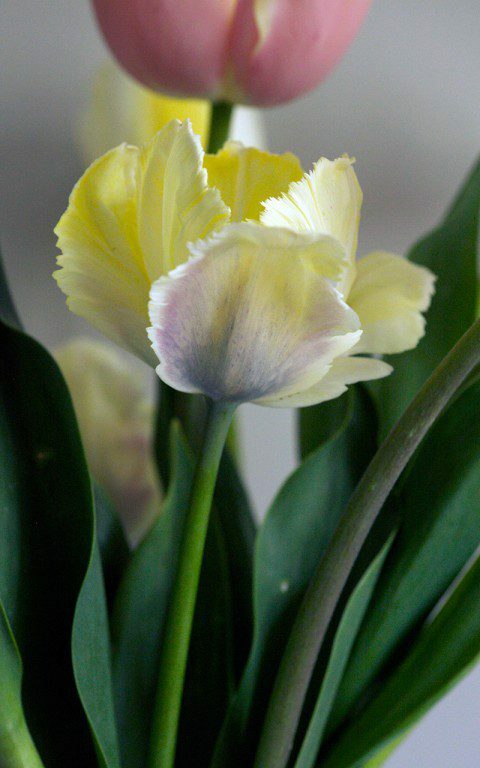 Given that their ancestors hail from the baked slopes of Turkey and the Middle East it is always good to find a variety that has endurance in the British climate and I am happy to see occasional bulbs reappearing as rogues where they were left behind as I have moved them from plot to plot in rotation. Some, such as ‘Recreado’, ‘Ballerina’, ‘Sapporo’ and ‘Jacqueline’ seem to be reliably perennial and are worth trying in a long-term position amongst perennials. Slowly, we are getting to know a good range of varieties that come back to make a repeat show but, for the effort it takes and the reward of discovering the new, I am happy to start afresh with new bulbs each autumn and consign the old to experience once the blaze is over and spring has properly tilted into summer.